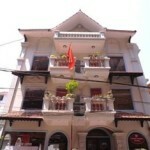 Some information about transport (transportation) in Sapa town. 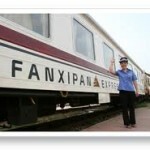 How to get to Sapa from Hanoi, going by train from Hanoi to Lao Cai and Sapa. You can get 1 or 2 easily at the train station in Lao Cai and you can get 3 & 4 at Pathfinder(see below), but it is almost impossible to get “Wooden carriage and Oriental Express” classes. To get those tickets, ask at travel agents or your guest houses. When you order tickets, please make sure which class your tickets are for. Train Station: In Lao Cai. 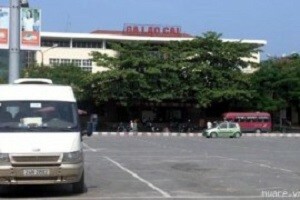 The most minibuses go to the train station. Tickets for night trains are sold after 16:30. Many people come so come early and stay in a line. Train Ticketing: Train ticket counter open only 7:30-11, 13:30-15:30. Ticket prices are offcial one. Commission for seat USD1, the cheapest tickets for lower class tickets.